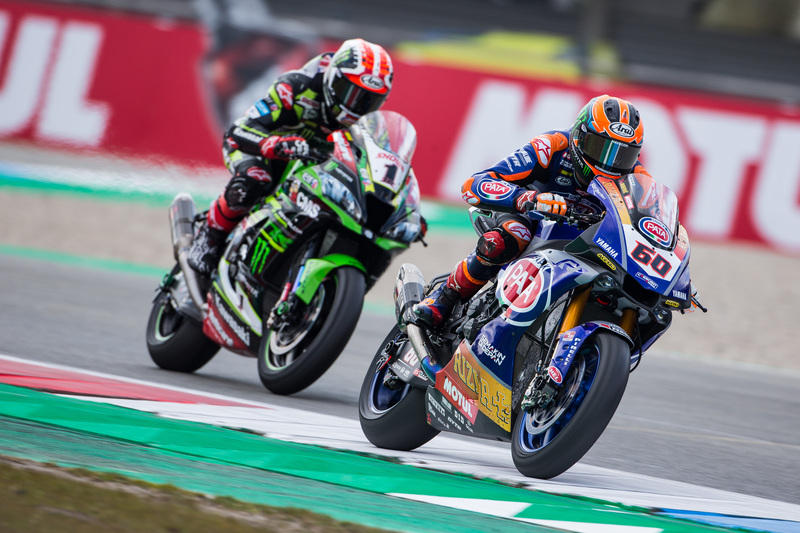 With the start of the European leg of the season in Aragon and Assen, Yamaha Racing wanted to discuss the 'state of play' for the Pata Yamaha WorldSBK Team as it embarks upon a busy next stage of the season and reflects on progress to date. And who best to answer our most burning questions about Pata Yamaha WorldSBK , the team's riders and its YZF-R1s but the man at the top, Team Principal Paul Denning? We’re now into the fourth year since Yamaha returned to WorldSBK in 2016. How do you assess the project’s progress and what are the next steps, Paul? 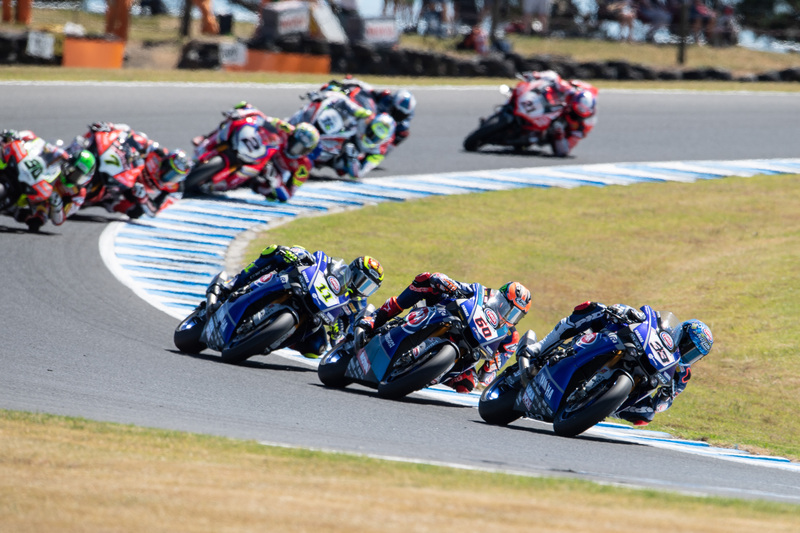 Competitive motorsport is always very challenging because whatever rates of improvement and targets we set as the reference Yamaha WorldSBK team, they are of course greatly affected by the efforts of our competitors. Evolution is never in a consistently straight line - this year, Alex’s third place overall race time in Thailand was 10 seconds better than the winner’s race time a year ago... but the 2019 winner had improved by 18 seconds! So, we have taken a good step forward but we, of course, need more. That said, the R1 is a more complete package than it’s ever been. The work of the riders, engineers and team throughout 2018 and particularly in the 2018/19 winter tests has really taken the bike to a consistently good level. The experience of the team has grown both from a preparation and from an engineering point of view, and we have improved both the quality and quantity of the personnel. If we compare the performance of the total package – machine, team and riders – to 2016, we can be satisfied with the progress, but unless the Yamaha R1 is consistently winning there is always more to achieve! The R1 seems to be quite a resilient beast! Are performance and reliability in WorldSBK down to the base package or a combination of factors? It’s a combination of the strength of the standard package because so many of the engine components must remain standard, as well as the work Yamaha Motor Racing Europe (“YMRE”) and the team. Early on in the project, the most often asked question was ‘what is needed to go forward?’ and that stage the only answer really could be time and experience. So from what has been learnt by the development engineers and what’s learned by the mechanics in preparing the bikes at the track, we’ve taken steps as a team to ensure we have a deeper integration with YMRE and that we continue to close any holes in communication and understanding so that every advantage can be taken! Ultimately one of the biggest restrictions in motorsport is always commercial. We had some fun at the end of last year with Lewis Hamilton and some of the guys from the Mercedes F1 Team, of course riding on track but also chatting about the two projects, and this highlighted the incredible difference between the two forms of motorsport. Considering Mercedes F1 has around 900 people working only to get two cars on the track, our guys should be proud of what has been achieved with such a low head count! You’ve had the same two riders since the beginning of 2017 – could you give us your honest assessment of Alex and Michael’s strengths and where they can improve? It’s helped us from a technical point of view to retain the same two riders in 2019, considering that the competitive level has moved forward so far during last 12-18 months. Michael really had a breakthrough year in WorldSBK during 2018 that saw him finish top three in the championship. His strengths start with his natural talent and simple raw speed; he’s also one of the best ‘passers’ in the game and able to turn a poor grid position into a very good race position almost immediately. He has an uncanny ability to sometimes look wild on the bike from a visual point of view, but in reality, his lap times show incredible consistency and once Michael has found his rhythm, he’s an absolute machine in terms of being able to knock off the laps. We know he’s in a good place when we can measure his lap times within a tenth or two-tenths of a second over a 10-12 lap stint. Michael is also extremely fit and works harder behind the scenes than he would like to admit! From a mental point of view, he has a strange strength in that his laid-back approach allows him not to get too focused on the result, but to stay calm and just give his best when it comes to the race itself. 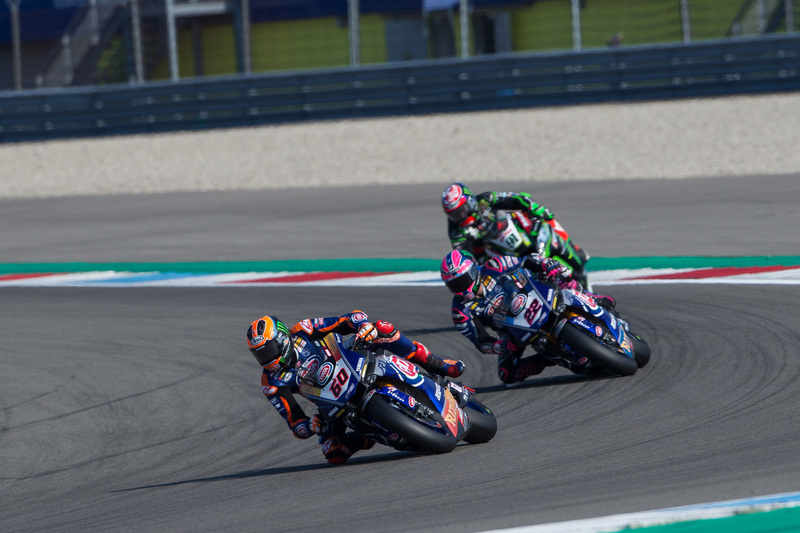 This approach makes him a formidable racer as almost nothing affects his mentality – and to see him rise to the occasion at Assen with a double podium gives us great hope for the rest of the season. Without the reverse grid for Race 2 this year, the consistency of Mikey’s qualifying performance is what we are actively working on in 2019 - there are some tracks where you really need to be on the first two rows to be able to challenge for the podium. In addition, looking at the 2018 results, we will be trying to find Mikey’s groove at all circuits and convert that into better results than last year at our “weaker” tracks. Looking at the start of the season, I would say we’ve already improved in that respect. Aside from all that, Michael is one of the easiest riders to manage. He’s very direct, very honest and overall an excellent team player which is always appreciated by everybody in the project. That’s Mickey, what about the other side of the box with Alex? Alex has been with Crescent since 2014 and with the Yamaha project since the start in 2016. Honestly, “2019” Alex versus “2014” Alex is just two completely different people. Alex has been very impressive in terms of his work rate to understand what needs to be done to improve and this, aligned with his increased maturity and the ability to make better decisions, has turned him into a very strong and consistent competitor. Alex has always been extremely fast over a single lap so qualifying has never been an issue. His understanding of the dynamics of the R1, given his intelligence and experience of the bike, is very clear for everyone - Yamaha’s engineers take his feedback very seriously in terms of development. So far this year Alex has addressed what needed to improve from 2018 with flying colours, and largely that improvement is off the bike and more in the pit box by keeping his focus and keeping a calm approach. Alex is so ambitious and has such an intrinsic and deep desire to succeed, that in the past when things haven’t gone well it has created frustration and a hot-headed approach that has made it difficult for the team to give him what he has needed. Of course, the team doesn’t always get it right – very far from it – but Alex has realised that he’s the key instigator and driver of the team’s direction in terms of feedback and the way in which he delivers that feedback and encouragement. The best and most successful riders, in one way or another, ultimately lead their teams – Alex is now doing that and that’s created a big step forward over the last six months. He has been consistently impressive so far in 2019 and we believe there is a lot more to come. All in all, we’ve got two riders who respect each other on and off track, race extremely hard, are both extremely ambitious – and as they gain maturity and experience, are becoming more rounded athletes in every sense. Simply put, they are riders we can rely on to deliver the goods week in and week out. 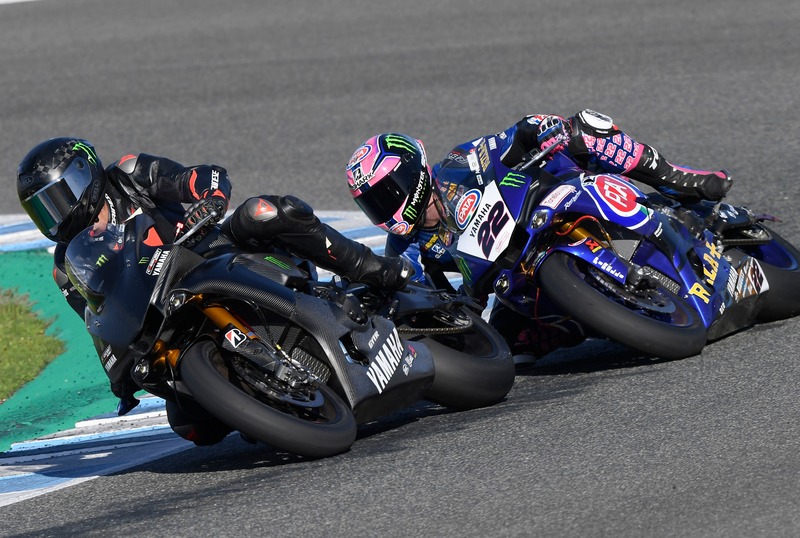 You’ve been quite positive about the number of Yamaha YZF-R1 WorldSBK machines on track this year which is maybe not the reaction most people expect. Could you explain this point of view? There are of course challenges behind the scenes when more bikes are supported, but from our side, as the Reference Team, we’ve already seen some positives to having more R1s on the track. With the bikes at the same spec and good riders on them, we’re now able to draw on the shared data of four riders and that’s advantageous for our team and for Yamaha as a whole. The overriding point that needs to be remembered is that with a permanent grid at this moment of only 18 riders, it is almost essential to have two more very good riders on very good bikes. From Yamaha’s point of view, it shows that after three years of development and hard work the bike has got to a point where it can be delivered to a team with a base level of technical support and be immediately competitive. How do you react when people express surprise if the ‘new’ team beats yours? The bike is the same specification and they have the access to all our data both from the past and now – so there is absolutely no reason that they shouldn’t be competitive and it’s positive for everyone involved with Yamaha and the Championship that they are. What’s your take on the changes to the WorldSBK schedule this year, including the new Tissot Superpole Race? I think the qualifying race is a good thing, it shows a willingness on behalf of Dorna to give the live audience more content and it has created exciting action already! It also gives riders who had a poor qualifying the opportunity to gain a better position for the main points-paying second race. Given a choice, I still believe the two-race Sunday format we had in the past was the best for the live audience. The challenges of TV programming are a lot harder these days, but if there was a way to have a Superpole race on Saturday afternoon and two long races on Sunday afternoon – similar to the way MXGP is structured – that would make more sense to me. What about the ‘elephant’ in the room, that a new rider to the series has so far dominated the first eleven races? Alvaro Bautista is obviously a very high-quality rider, and you only need to look at his 2018 MotoGP season or his performance when he had the chance to prove himself on a factory machine to understand that. The quality of the rider is beyond question, but it also looks like he has arrived in WorldSBK at the perfect timing, as the bike he’s riding is probably closer to the MotoGP V4 bike in ethos and feel than the previous V-twin machine. The outright speed of the bike is a problem for everyone else, but the bike is of course built within the regulations. If we assess Race 2 in Thailand, Alex matched Alvaro over the whole 20 laps in sectors 3 and 4 but lost time in sectors 1 and 2 – essentially two acceleration areas followed by long straights. It was the same for four-time Champion Jonathan Rea, so the goalposts have moved from everyone’s perspective. But until the other riders on the same bike as Alvaro are able to achieve a similar performance level, it’s quite hard for Dorna and the FIM to legislate for one rider’s results. There are also circuits where outright acceleration and engine performance won’t be such an advantage and hopefully we can use the R1’s strengths to close the gap at those tracks Our focus is to get the absolute best out of the R1 and to take the winning opportunities as they come – the season is yet young and we are hungry!